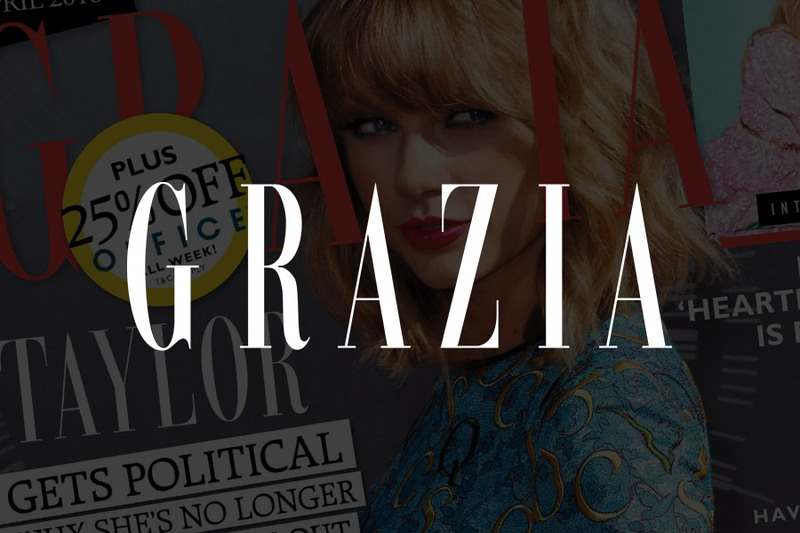 Anti-ageing and skin expert Lorraine Scrivener is a regular in all the national beauty magazines and websites. 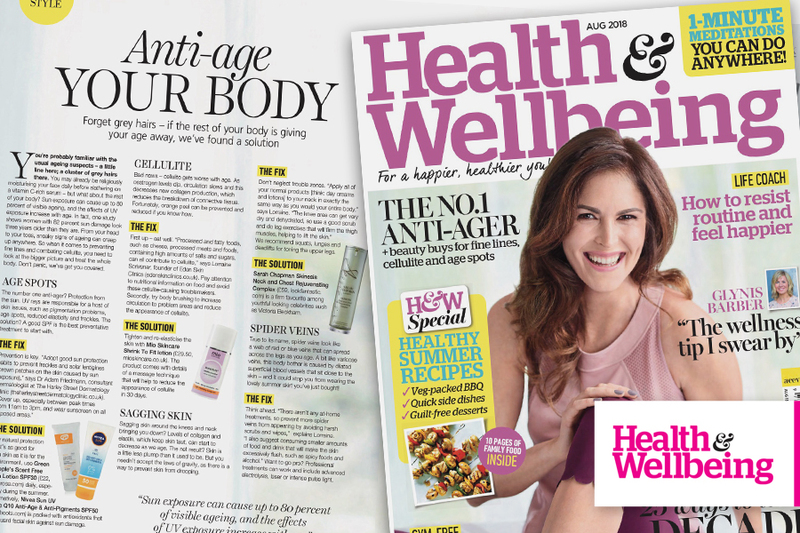 Anti-ageing your body: Lorraine’s tips for Health & Wellbeing magazine. 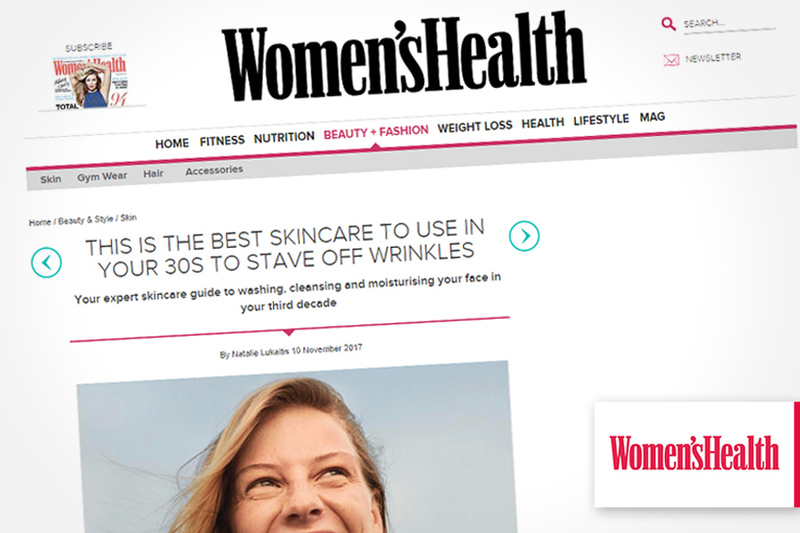 Clinic founder and leading skincare expert Lorraine Scrivener gives Health & Wellbeing magazine readers her tips on how to anti-age your body. 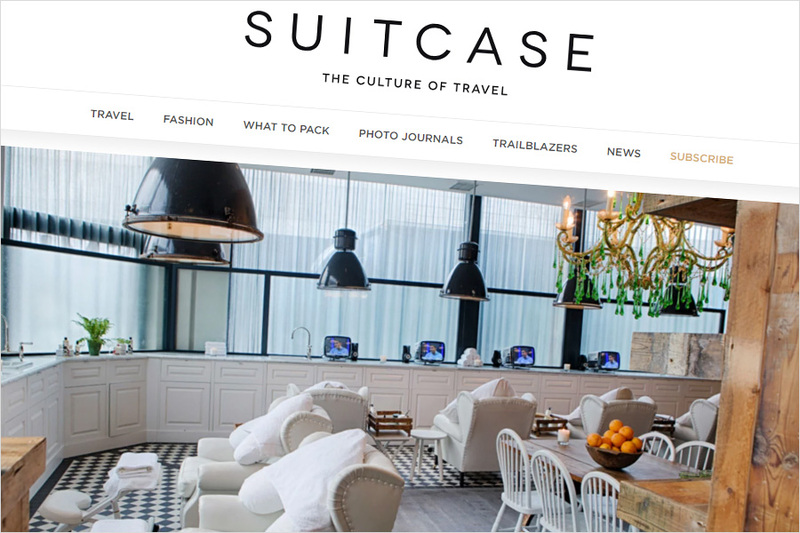 Eden Skin Clinic is rated one of the top 8 spas in London by SUITCASE Magazine. 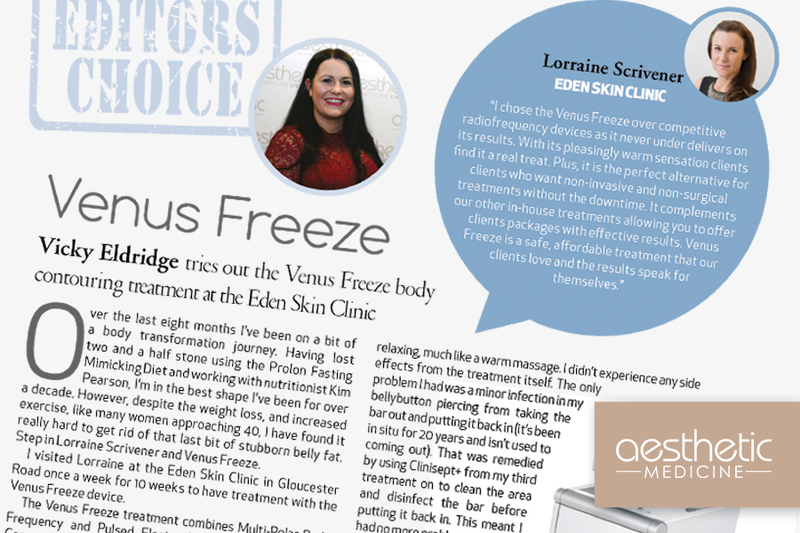 Vicky Eldridge editor Aesthetic Magazine reviews Venus Freeze treatment with leading skincare expert Lorraine Scrivener. 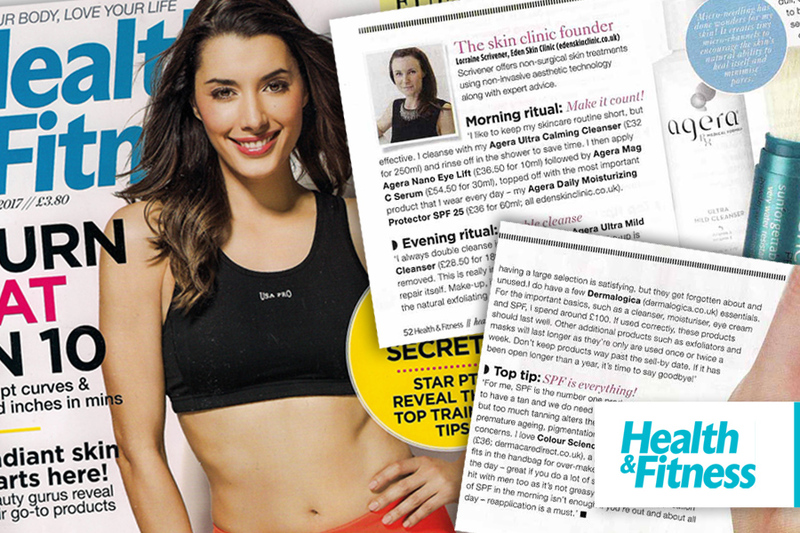 Health and beauty magazine ‘Health & Fitness’ interviewed Lorraine Scrivener, for her expert skincare advice.